One of my favorite comic book characters is Zatanna. She’s the subject of one of my favorite episodes of Batman: The Animated Series. I always pictured Zatanna as — big surprise! — Lauren Graham. 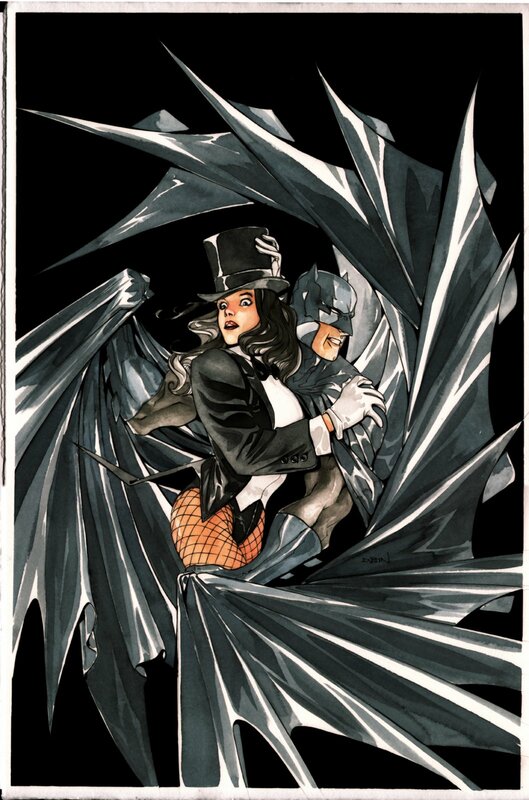 I’d love to see Lauren play Zatanna opposite Christian Bale’s Batman. Then again, I’d also be okay if Lauren Graham replaced Christian Bale as Batman. Believe me when I tell you that’s love. And while a magical character will probably never appear in a Christopher Nolan Batman movie, TV Guide says that we are going to get to see Zatanna in Clark Kent’s neighborhood on Smallville. Her official site is here. I used to love Smallville, but they lost me with the events of the 100th episode in Season Five. And it just kept going downhill from there. I’ve never seen a team of writers be so clueless about what to do with one of the most legitimately talented casts on television. But! Now that a new showrunning team is in charge, Season Eight has been catching my attention. Last week’s episode, “Legion,” was written by Superman comics writer Geoff Johns. It featured Brainiac, the Legion of Superheroes, and Doomsday. So I’m definitely giving this show another chance. And I still want to see Tom Welling in a Superman movie. With Erica Durance as his Lois, of course.